You may be new to the workforce and wondering how you should behave in an office setting in Australia. You may have been in the workforce for a long time and recently noticed an odd behaviour from a colleague that had you confused. Or you may be a business owner trying to develop your own special culture in the office and wondering if your ideas are aligned with what’s considered polite. Well, all of you are in the right place! Etiquettes are commonly accepted rules of behaviour in society that are considered polite and respectful. When etiquettes are broken, it can be received with emotional responses and leave people feeling disrespected or even disgusted. You can think of office etiquette in Australia the way you think of most things in Australia. As the Australian workforce is made up of a diversity of cultures, you’ll find that most office settings are quite considerate of different people’s habits and backgrounds. However, even in Australia, there are some lines that you just cannot cross, and we’ve laid out these must-follow work etiquette below for you to keep in mind in your workplace. 1. Don’t touch other people’s stuff. This is probably modern society’s number 1 social rule. If it doesn’t belong to you, don’t touch it. This applies to workplaces too. Anything on a colleague’s desk that is not yours is off limits. It goes for personal items (photos, candles, decorative items, etc. ), work stationery (stapler, hole puncher, scissors, etc.) and anything else that is not yours. Do you need to borrow a charger because your phone is almost flat? Ask your colleague to borrow it for a couple of hours, but don’t just take it. The most important thing about this rule is that you never take other people’s stuff without their knowledge. While you might be OK with people taking something from your desk when you’re not around, a lot of people take offense to their possessions being taken without their permission. 2. Don’t eat other people’s food. In an office made up of grown-ups, you shouldn’t ever need to write your name on your lunch to leave in the kitchen or the fridge. If you didn’t make or buy the food, then it’s not yours and you should not eat it. If your office has a common snack station where food is shared or provided by the company, that’s a different story. However, in that case, be considerate of others and don’t eat more than a reasonable share of the shared food. If a colleague has kindly brought in some cupcakes, just take one! Share the joy. 3. Don’t be a food snob. Some people take it upon themselves to be the Gordon Ramsay of the office food “competition”. Don’t be that person. Don’t be judgemental about other people’s food as it can make people feel very embarrassed, sensitive or put off. If a colleague brought fish for lunch and you hate the smell of fish, and you feel compelled to tell them about how yucky it is, then pack up your lunch and go somewhere else. Everyone has the right to eat what they want for lunch in peace and they don’t need you telling them that it looks like dog food or smells weird. 4. Give back as much as you take (Buy coffee once in a while). If your colleagues buy coffee or snacks for each other from time to time, offer to shout everyone coffee when it’s your turn. If you notice that your colleagues have stopped inviting you to their coffee breaks, think about whether or not you’ve ever offered to pay for theirs once in a while and not just accept free coffee every time. Even if your manager or a senior staff buys something for you and you know they make double your salary, offer to get them something next time or even surprise them with a coffee they didn’t ask for. The point here is that appreciation and the expression of it goes a long way, and nothing is free in life. There’s a possibility that you really can’t afford to shout coffee for people on a regular basis. Then the answer is simple. Don’t go out for coffee together. 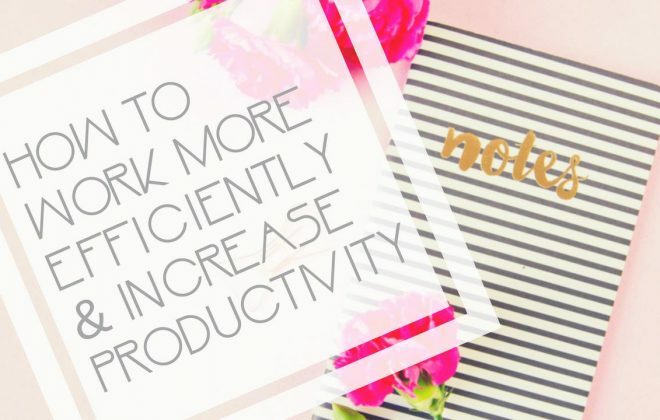 Tell your colleagues that you’re trying to cut down on coffee or spending money on little things and they’ll understand. And do not, ever, ask to borrow money for coffee or food. If you can’t afford to buy it, bring it from home instead. Your colleagues are not your parents and they’re not responsible for supporting your lifestyle. $4 for coffee here and there adds up. If they offer, take it if you want, but don’t make a habit of it. 5. Take your phone calls outside. If you don’t have your own private office, where possible and if your office layout allows it, take your phone calls away from where people are working. And never put it on speaker unless you absolutely have to for some reason. Listening to other people talk on the phone can be distracting, and depending on how loud you are, it can add to your colleagues’ stress. Your colleagues can also feel like their space is not being respected by you. This is especially the case if you ever have to take personal phone calls at work. Take it outside or to a private space and make it quick. 6. Have your phone on silent or turn it down a notch. If your job doesn’t require you to be on or checking your phone all day, then put it on silent and don’t annoy your colleagues with your loud ‘ding’s. If you need to be checking your phone for your job, then turn down the notification volume so that the whole office doesn’t have to hear it every time you get a notification or a phone call. What can be seen as even more inconsiderate is if you leave your phone on your desk when you go for lunch or a long meeting. When it starts ringing, people have to sit and listen to your ringtone until it stops. And when it rings again and again, don’t be surprised if your colleagues are less than impressed with you. 7. Follow the dress code and present yourself well. Follow your office’s dress code. Smart casual? Doesn’t mean casual. Corporate attire? Doesn’t mean smart casual. Casual Friday? Yes, you can wear your jeans and t-shirt but no, you should not wear your track pants to work. The way you dress does not only represent you, but also reflects on the company and its culture. And if you deviate too far from the office dress code or rules, then it can be seen as blatant disrespect for the company and your colleagues. 8. Keep the bathroom clean. Treat your office bathroom the way you would treat your own! If you ran out of toilet paper in your own bathroom, would you just leave it? Or would you replace it only to put the new roll on top of the empty one? It takes only a few seconds to replace the toilet paper roll. And always double check the toilet after you’ve used it. Flush, flush, flush! And even if you’ve flushed, check again to see that everything was indeed flushed down. And do you see anything on the toilet seat? Anything that could seem dirty or put off your colleagues, even though you know that it’s just some splashed water? Doesn’t matter – wipe it! 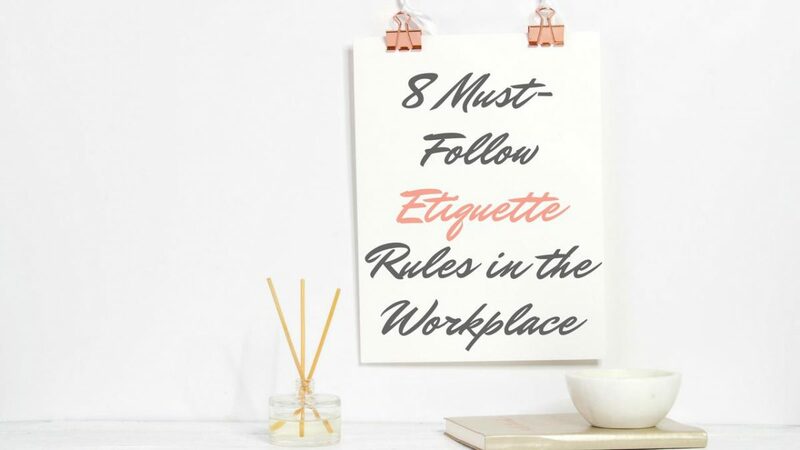 These are just 8 workplace etiquette rules that we thought were the most important in the current Australian office cultures. Some more rules of etiquette that deserve a shout-out here are, “don’t talk to people when they’re on the phone”, “put things back where they belong and put things away properly”, and “follow email etiquette”. Do you agree or do you think we’ve missed anything? Do you have a story involving bad etiquette at work? Share below! Also, for migrants who are new to the Australian culture, it’s OK! Always ask your colleagues if you’re not sure how to behave or respond. And if you have any stories you’d like to share about your experience learning the Australian work etiquette, comment below!